Stay focused and on budget with these Holiday Shopping Tips! I’m hearing a lot of people say, “It’s not time for Christmas yet” but here is my philosophy. I can do what I want. If I want to enjoy Christmas lights for 3 extra weeks, I will. If I want to spread out decorating over time instead of cramming it into 1 day, I will. If I want to start Christmas shopping in October (or even July which I have done), I will because it all means I am less stressed during the season and more in the holiday spirit. This year I officially kicked off my holiday shopping two weeks ago plus I will be ordering more gifts this week. I like being ahead of the game, but I can only do that if I follow these general holiday shopping tips. They keep me sane and in budget. Make a List and Check It Twice. Sit down and make a list of everyone you need to buy a gift for, big or small. I like to make this list on my own, look it over again later, and then bring it to my husband to check, too. This is the list I will pretty much keep with me the rest of holiday season to make sure I don’t forget anyone or go off book. Save in Advance. If you haven’t saved anything yet for the holidays, start! Right this minute. With the short time frame, it might mean you have to cut some things from your spending until Christmas like coffee or lunch out. As soon as the holidays are over, start saving for next year. I put a little away each month to my “Christmas” line on my budget. It makes the holidays way easier on the wallet. Set a budget. Your first step is to create a larger Christmas budget. How much money can you afford? You do not want to go broke over the holidays and you don’t want to put everything on a credit card you can’t pay off. Staying within your means is a must and it has to be a number that you and your partner are comfortable with. After you set your large budget, assign every dollar to a person. How much will you spend on your kids? Your mom? Your co-workers? The total spent for each person must be under or add up to your large budget. Again – STAY WITHIN YOUR MEANS! Create a shopping plan. While I will sometimes go into a store and wander around for ideas for someone on my list (armed with my budget, of course), I normally like to create a shopping plan first. This includes ideas for everyone on my list, including clothing sizes for the kids or suggestions given my siblings. Doing this helps keep you focused and on track when out in the stores. A sale is not automatically saving you money. We are natually driven to be excited by a sale, especially when it’s a limited time offer. Something happens to even the most logical person and suddenly we are 2 coats, 3 soccer balls, 5 dolls and a tv over budget. But a sale does not automatically save you money. If you buy a tv you don’t need because it’s on sale, that tv is costing you a lot. Sticking to your list is one of the easiest ways to avoid this issue. Use the retail price, not the sale price. When I was just out of college and going to grad school, this is the only way I could keep to a holiday budget. Here is what I mean. My siblings and I draw names and stick to a budget for Christmas. To make this example easy, let’s say our rough budget is $60. I have my brother and he wants a $60 video game that I happen to find on sale for $45. No one needs to know I bought it on sale. I don’t need to automatically find something for $15 to make up the sale price. No one will know if you don’t tell them! This might make me sound like a Scrooge counting pennies, but too many people go over budget and into debt every year for Christmas. Don’t be one of them! Shop Online! As every year passes, I do more of my holiday shopping online. I avoid the pressure of needing to buy something because I just wasted hours wandering around the store – or is that just me? Plus, I have the ability to compare prices and read reviews right at my fingertips. My favorite is definitely Amazon with Prime. Check out their Holiday Central now for ideas! Shopping online also allows you to use online services for earning cash back on purchases. One of the most popular is Swagbucks. You can earn Swag Bucks for most of your online purchases that can be redeemed later toward gift cards. You are earning money for doing shopping you need to already do. Value Quality and Experiences over Quantity. 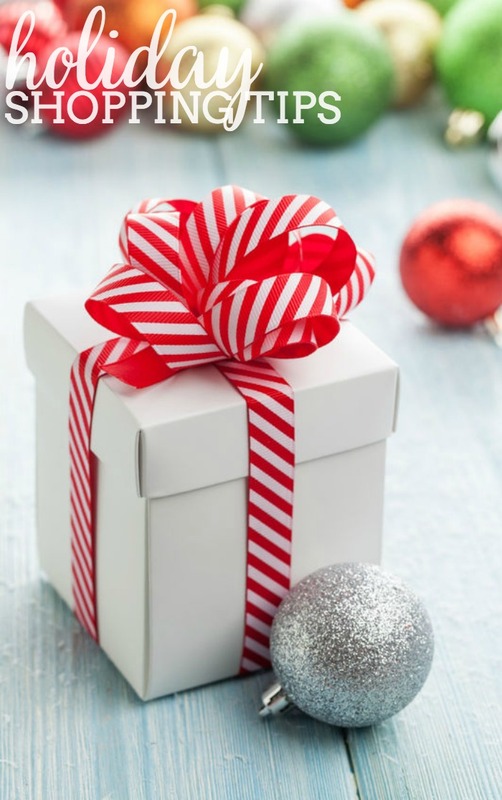 I will share a post in the near future about my philosophy on experiences as gifts, but think – wouldn’t you rather receive one gift you love over lots of little gifts. More does not mean better! This is one of the main reasons I wanted my siblings to start drawing names as I mentioned above. With less people to shop for, I could spend more money on one person to get them something awesome! If you add to your shopping list, you need to adjust the budget! Inevitably, someone might pop up on your list that wasn’t there to begin with. Or, maybe you found the perfect gift for your husband that is over your budget. Make sure you take a moment to move your budget around. Can you really afford it? Were you under budget on someone else because of an awesome sale? You get the drill.